Car Scanner ELM OBD2 – The best car OBD2 diagnostic solution for iOS and Android in your pocket! The best car OBD2 diagnostic solution for iOS and Android in your pocket! 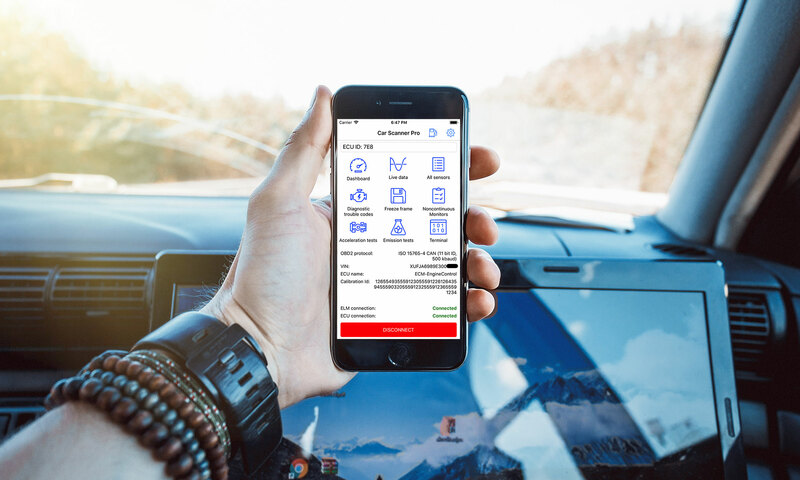 Car Scanner is a professional car diagnostics solutions inside your phone, tablet or laptop, running iOS (Apple iPhone and iPad) / Android / Windows / Windows Phone / Windows Mobile. Learn everything about your car! Your car’s dashboard is probably home to a speedometer, a tachometer, a fuel gauge, and — if you’re lucky – a coolant temperature gauge. However, your car’s electronic brain (ECU) is actively monitoring dozens of parameters behind the scenes that you, the driver, could find useful. This is where diagnostics hardware and apps like Car Scanner ELM OBD2 step in, putting all of that data at your fingertips. Find problems before they happen! Watching real-time parameters, you can discover a problem even before it turns on MIL (“Check engine” lamp). “Check engine” / MIL is already on? We all, well at least, everyone who drives, have felt that second of irrational panic when the “Check engine” light on the dashboard suddenly lights up. It is, of course, recommended that you drop your car off at a service station as soon as possible, as in most cases you have no way to know where exactly the fault lies. Until now. With Car Scanner ELM OBD2, checking fault codes is just one of the MANY things you can do. When you know fault code and it’s description, you can fix your car or, at least, understand, is it dangerous to continue driving or not.